In the efforts to promote prudent financial management among credit card users and to ensure credit card debt remained at manageable levels, Bank Negara Malaysia announce new guidelines on credit cards. It also also aimed to promote fair and responsible business practices by credit card issuers and to further enhance credit cards security. Minimum annual income requirement to apply for a credit card raised to RM24,000 from RM18,000 with immediate effect. Cardholders who earn less than RM36,000 per year can only hold credit cards from a maximum of two issuers. They have to select their preferred two issuers by Dec 31, 2011. They have at least 2 years to settle the outstanding balance on the cancelled credit card. Not allowed to increase cardholders’ credit limit without obtaining cardholders consent. 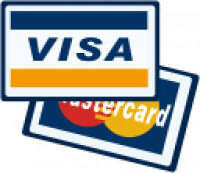 Not allowed to offer a credit advance in the form of cheque payable to the cardholders. To provide a product disclosure sheet that contains key information on the card’s features, fees and obligations of the cardholders. To display prominently alerts to communicate to cardholders the implications of meeting only minimum and partial repayments. Starting from 1st December, 2011 the final statement for the year will include customised information on how long it will take to fully pay off the cardholders’ outstanding balance and the total interest costs if the cardholder only makes minimum repayment. Effective from 1st January, 2012, transaction alerts via short messaging service (SMS) will be implemented by card issuers for their cardholders after transactions are performed. I think this is a way good too.